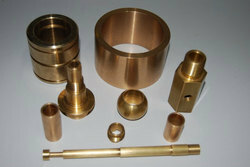 We are a leading Manufacturer of non ferrous casting parts from Rajkot, India. We are offering Non-Ferrous Casting Parts to our client and our product is made of good quality. Looking for Non Ferrous Casting Parts ?